Sunlight 349 is one of countless Dalek Foundation worlds, planets created to house billions suffering from economic hardship. The Doctor arrives at Sunlight 349, suspicious of any world where the Daleks are apparently a force for good � and determined to find out the truth. 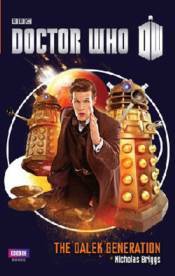 The Doctor knows they have a far more sinister plan � but how can he convince those who have lived under the benevolence of the Daleks for a generation?